A great number of elderly people want to live independently as long as possible. Sadly, though, most of them do not realize the risks and disadvantages that living on their own may bring especially to their health and over-all well-being. The risks actually get higher specifically to those who have health issues. While loved ones and close friends can help lessen these risks, there are certain services that can be provided only by trained individuals. If you have elderly loved ones who insists on living on their own and you feel that they will, from time to time, need professional assistance, then you should look into senior home care providers in your area. These elder home care providers can help minimize, if not totally eliminate, the risks that your senior loved ones have to face on a daily basis. One of the most common risks that seniors who live on their own face is the risk on their personal safety. Seniors, especially those with ailments such as diabetes, heart disease and hypertension have a higher risk of falling since their balance and physical strength are already affected. They also tend to do chores that require the use of ladders or stools on their own and this increases the risk of falling without having anyone around that can help them. To minimize the risks on their physical safety, it is best if you acquire the services of a senior home care provider. A caregiver will not only make sure that your elderly loved ones will be safe and comfortable but he/she can also address any specific needs that they may have. Senior home care providers provide a variety of services including house cleaning, medical care, meal planning and many others. If you want to make sure that your elderly loved ones will have a safe, secure and comfortable home life, then you should consider acquiring the services of a professional senior home care provider. 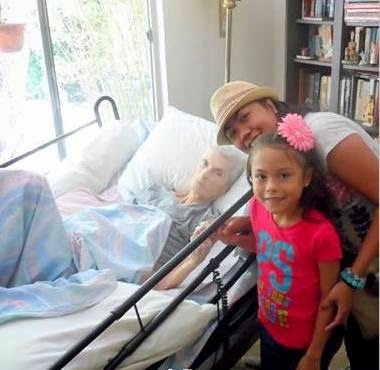 Senior home care is something that is very close to my heart because my aunt who passed away a year ago from cancer used one of those agencies that cater's senior home care. The caregiver who took care of her was kind, caring, considerate and embraced not only my aunt but our whole family. If you are wondering where to find a reliable senior home care for your loved one, you might want to check HomeHero. HomeHero is the fastest, most-affordable way to find quality in-home care for seniors. They are the largest and fastest-growing senior care marketplace in the country. So what are you waiting for? This is a sponsored post with Mums the Word Blogger Network and HomeHero. All opinions are my own. This is good to keep in mind when the time comes. Hopefully that's not for a while, though. Are you talking about my FIL sis? Lol, yep Dad is far out na but he doesn't want to leave his home, he said he wants to die there which we fear will happen if he won't be put in a home. This is great information! It is hard to decide what to do when our loved ones cannot care for themselves anymore- it's nice to know there are places that take great care. We have had two wonderful caregivers for my grandparents. They lived in my grandparents' home with them, so it was nice that they were able to stay home for as long as possible. My mother had live-in assistance for many years before passing. We often wondered if a facility would be better for her but she ultimately wanted to stay in what had been her home for many decades. I've told my kids that when the time comes, I'd love to live in a senior assisted home or I want to have a reliable senior home service if I'm able to stay home. I'm afraid of getting dementia or alzheimer's and that's the only reason I'd want them to put me in a nursing home or somewhere. Otherwise I want to stay home and have nursing care here. A caregiver can really give more special attention to the elderly. They would also be able to resume their daily activity with the supervision of caregivers. Caregivers are well trained to give assistance to the elderly. It's good to know that there is a place where we can entrust our senior loved ones. I'm sorry to hear of your aunt's passing. I"m glad thought that she had amazing care. It does make a big difference. Thank you for sharing this - my Grandma was a stubborn one and lived on her own, despite our urging to move to Assisted Living, until one day she took a fall that she never recovered from. I wonder if she hadn't still lived in her own apartment if things may have been different. I'm glad to hear your aunt was in good hands and that the caregiver worked well with the family. Will be sharing this for sure.